Where we see preventative oral care match our approach hand-in-hand… so hello flossing! With recent studies exploring various health aspects of flossing, you may be wondering what is really all about dental floss. Below explores the advantages of flossing and what impact this makes to your dental hygiene and key highlights in recent studies. When it comes to exploring the benefits, flossing is a preventative type of oral care, which prevents the buildup of tartar, bad breath, gum disease and is also such an effective way of cleaning, as it cleans around 35% of the surface of your teeth, which isn’t reachable by your toothbrush alone. As it comes to analyzing facts and studies, related articles and papers may typically mention such characteristics of chemicals and formulas. But keep in mind to read such content carefully, as some studies may simply be identifying and highlighting the concept of measuring levels of compounds, which don’t provide reasoning to modify typical dental hygiene habits. In terms of flossing as apart of your dental care, making this a strict part of your routine will save you some coin as mentioned above has a strong preventative characteristic but also aids in achieving that stunning pearly white glow. 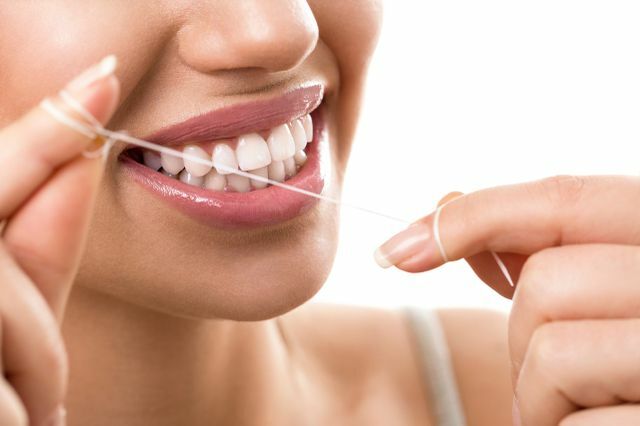 With so many great benefits associated with flossing, here at Moss Vale Dental, we recommend you floss each time you brush your teeth, where flossing before you brush those whites being more effective. For personal advice or to book your next appointment, call our friendly team at Moss Vale Dental today on (02) 4869 3111.